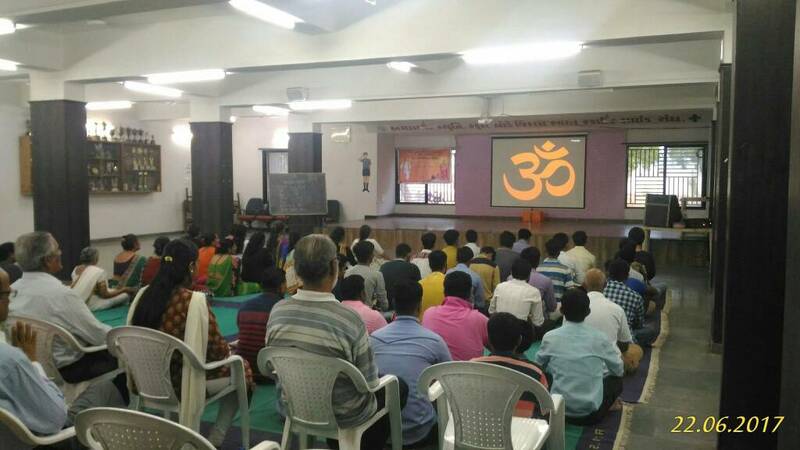 Vivekanand Kendra ​Karnavati​ Branch​ has organized a 5 days Sthanik Karyakarta Prashikshan Shibir (KPS). The main aim of the shibir was to train the karyakartas for karyapaddhati of Vivekanada Kendra and to and to give Nationalistic views. Registration process was started on june of 18th at 4:00pm and the shibir was completed on 23rd june at 12:00 pm. Aa. Shri Pankajbhai Chohan (Chairman, AMC School Board, Navarangpura, Ahmedabad) & Shri Dr. Chetanbhai Bhatt( Sanchalak- Vivekanada Kendra, Paschim Karnavati Nagar & Principal Govt. Engg. College, Gandhinagar) chaired the Udghatan Satra. There were many sessions organized like “Swami Vivekanada - Rasthra Bhakta Sanyasi", “ Karyakarta Gun ane Vikas ", "Patthar me Pragate pran(Story of Vivekanada Rock Memorial And Ma. Eknathji Ranade" ,"Sampark Mantra ane Tantra”, “Chunoutiya Ane Pratisad” & “Karyapaddhati ane Karyapranali” for the development of karyakarta. Total number of 23 karyakarta participate in shivir. 17 participants from which 6 from Gandhinagar, 5 from Purva karnavati , 4 from Paschim karnavati , 1 from Modasa, 1 from Patan and 6 Sanchalan karyakartas who conduct the camp. Shri. Pravinbhai Rathod (Sah-Sanchalak- Vivekanada Kendra, Paschim Karnavati Nagar & Ret. HOD, LD Engg. College, Gandhinagar) was shibir Adhikari and shibir Pramukh was Aa. Dhrumaben Pinara(Karyapaddhati Pramukh Vivekanada Kendra, Paschim Karnavati Nagar). ​There was two Gan formed in the shibir, one the " Punyabhumi Gan " and the other " Karmabhumi Gan". There were many sessions organized for the development of karyakarta. sessions like " karyakarta gun ane vikas ", "patthar me pragate pran" ,"sampark mantra ane tantra. On the last second day of the shibir all participants done the Sampark in nearby societies and good experience of Sampark & “bhajan sandhya" was also organized, in which there were 50 karyakartas and their family members were present. In Prerna se Punarurthhan Ratri Stra Assistant Comandent Dr. Pareshji inspired by telling his experience of working in Jammu-Kashmir and Chattisgadh and how our army sacrifice for nation. On the last day of shibir the Shivirathi has done 108​ Suryanamaskar at Sabarmati river riverfront & aahuti satra was taken by Gujarat prant sangathak Aa. Shitalben Joshi. The shibir ended at 12:00 pm with sankalp of doing work for organisation at respective Nagar.